The UK’s Best Place to Live! The excellent communications networks in South Ribble have attracted leading businesses for over a century to invest and grow here. Global names making South Ribble their home include BAE Systems, Leyland Trucks (Paccar), Baxi, AB Inbev to name just a few. South Ribble offers a good base for your business investment thanks to the excellent road and rail communications network including the West Coast Mainline and M6, M65 and M61 motorways. These comprehensive road and rail links, together with ICT infrastructure, and nearby ports and airports, provide excellent communications with the North West, the UK and the rest of the world, making South Ribble a perfect distribution point and an easy place to reach for both your customers and your staff. The borough benefits from a wide choice of employment premises. The towns and business parks within South Ribble offer a wide range of different types of premises from small light industrial units to full manufacturing plants and high quality office space. The borough offers opportunities to choose from existing premises or to commission a custom design and build to accommodate specific needs. So, whether you want to move quickly and simply or you would like something that meets the exact needs of your business, South Ribble can find a solution. Through the Local Development Framework, employment land has been identified to cater for commercial growth over the next 15 years. The new development sites will complement the established range of premises to meet most business sectors’ needs while growth in households will offer opportunities for businesses in the retail and service sectors to take advantage of the increased customer base here. Our ten year City Deal infrastructure and investment programme is improving connectivity and opportunities even further. Major sites including the Lancashire Enterprise Zone at BAE Systems, Samlesbury and the Regional Investment Site at Cuerden are accessed directly or within 5 minutes of the motorway network. We invite you to share in our ambition to deliver a prosperous economic future with thriving businesses and highly skilled jobs. 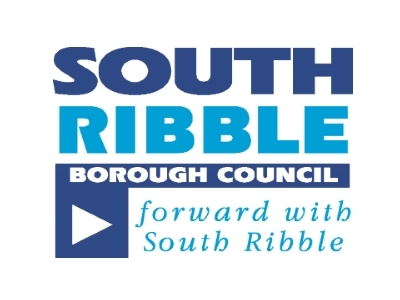 South Ribble Borough Council is supporting businesses to thrive and grow. Contact our dedicated Economic Development Team who can save you time by connecting you with the support you need for your business. We offer free, impartial advice to help you grow through our direct assistance and our on-line commercial property search facility. Construction contacts, information on funding organisations and skills initiatives are just part of the supportive environment we provide for business growth. Lancashire is a great place to grow your business because it offers the skills, support and space you need to grow. Lancashire has a strong advanced manufacturing and engineering heritage combined with developing sectors such as energy and construction, which are driving economic growth. It is highly accessible with the City Deal delivering further infrastructure improvements and is investing in skills with the £15.6 million Academy for Skills and Knowledge at Samlesbury Enterprise Zone and the new £6.5 million Science & Engineering Innovation Centre at Runshaw College. By partnering with Boost, we want to make sure that your business can benefit from all the relevant support available in Lancashire.